Duty Solicitors : £30,000-£37,500. We had no firms this year indicate or offer above £37,500 outside London for a duty solicitor. Duty Solicitors with Higher Rights: £32,500-£45,000. Crime Solicitors without Duty Status: £23,000-£30,000. The top end of this scale is slightly distorted. Duty Solicitors : £35,000-£40,000. We did not get any firms this year indicate or offer above £40,000 in London for a duty solicitor. Duty Solicitors with Higher Rights: £40,000-£57,500. We anticipate that the top end of this scale will come down as more solicitors get their higher rights over the next 2-3 years. Crime Solicitors without Duty Status: £25,000-£30,000. Most of these were for crime solicitors with police station accreditation. White Collar Solicitors : £35,000-£75,000. Range varies widely according to the firm and the percentage of LSC funded VHCC work. 20% fee share on own cases introduced to a firm. 100% police station and court rota payments (fairly standard these days across London, but not in the regions). £15-25 per hour for case preparation work and own client work. Duty Solicitor slots exchanged for chance to undertake other fields of law. 100% of all work undertaken (this deal was with a firm about to lose their crime department if they didn't get a duty solicitor in time). Duty Solicitor looking in Yorkshire, Bristol and Bath. 5+ years PQE. Crime Solicitor with police station accreditation. 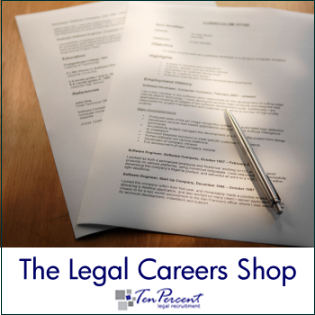 Able to assist with Employment Law as well. 3 years PQE. London. Duty Solicitor with Higher Rights looking the West Midlands, South West and South Wales. 5+ years PQE. Duty Solicitor looking in London. Looking to work for a medium sized practice. 3 years PQE. Salaried posts. Crime Solicitor with police station accreditation and advocacy experience. London. 1.5 year PQE. £25k+. Contact as many of our crime candidates (or any candidate for any field of law) as you want to for a fixed annual fee. Over 8,000 candidates registered including solicitors, barristers, legal executives, fee earners, legal cashiers, practice managers and support staff. We already have a number of medium sized crime practices signed up for this service. For further details please visit http://www.ten-percent.co.uk/low-cost-legal-recruitment.html (special offer available until 17th December 2010).